This player has been linked with the Gunners for the past few months, he is making waves in the Brazilian League with his high scoring rate and impressive performances with his club Internacional. The player is now a Brazilian international and is being linked with the best clubs in Europe, the player I'm talking about is Internacional sensation Leandro Damiao. Leandro Damiao was born on July 22, 1989 in Jardem Alegre, Brazil. Leandro Damiao isn't like any other Brazilian sensation that you know of, he's not the Neymar, Robinho, Pato and many others who are hyped up by Youtube videos and such. Damiao took his chance the hard way, he was struggling to get a pro contract with his current club when he was 17. So Damiao, displaying his determination, decided to test his luck in the Brazilian lower divisions where he displayed his talent, especially in finishing and scoring goals. Internacional, finally gave him his chance and he has so far taken it brilliantly. Leandro Damiao is a truly gifted player who is known for his determination and his skill, especially inside the box. He stands at a bit over 6'1" which assists him greatly aerially, he is a real presence inside the box with his predator instincts and clinical finishes, both with his head and feet. He is mobile, quick and skillful with the ball as well. He is nicknamed "Damigol" by his fans at Internacional and has had a superb season so far with Internacional, scoring 22 goals in 24 matches, which brought the attention of Brazil national team coach Mano Menezes and was called up for the friendly against Scotland in the Emirates Stadium. Leandro Damiao is reportedly being targeted by the North London rivals, Arsenal and Tottenham and also by Spanish side Barcelona. Damiao is valued by transfermarkt.co.uk at around 5.7 million pounds and is being reported that both Arsenal and Tottenham, are willing to pay as much as 10 million pounds to sign this rising star. He has scored 29 goals in 53 appearances so far with Internacional. In my opinion, I would prefer a proven player in Europe, but from what I've heard of and seen of him, he has a bright future and might prove to be a shrewd, good signing for the Gunners. What do you think? Should Wenger go for Damiao? Please share your thoughts and opinions. Hello again, another interesting day of transfer gossip, speculation, rumors and news surrounding the Gunners. There are some interesting headlines today, so without further ado, here is the Arsenal Transfer News Roundup. The main headline today, as the ever-reliable We Are the North Bank, reports that Arsenal are keeping their eye and are interested in West Brom star and Nigerian international, Peter Odemwingie. The 29 year old has had a highly impressive debut season in the Premier League, scoring 15 goals to keep his club in the Premier League for another season. Do I believe this headline? Yes, I do as We Are the North Bank were the first to report the news on Alex Oxlade-Chamberlain and have proven to be a very reliable source. His value is set at around 6 million pounds and I believe that he can be a good signing for the Gunners, if Wenger is serious about acquiring him. Interesting news indeed, Anderlecht star and Belgian international, Romelu Lukaku has made a statement saying that he will leave Anderlecht and is on his way to the Premier League, to one of the top clubs. The 19 year old is one of the best youngsters and rising stars in Europe, with his physical attributes and scoring record, draws comparisons with Chelsea star Didier Drogba. I believe that Lukaku will be a great signing to whichever English club he signs for. His value is set around 12.3 million pounds, but I believe he'll leave for a value a bit higher than that, probably around 15 million pounds. I'm sorry, but did I just read that? Willian, is now valued by the press at just 5 million pounds?! A few weeks ago, the press valued him at 22 million?! What did he do to lower his value at a high rate? Did he put in Denilson-like performances lately?! Seriously though, the press need to start to show consistency with their reports because this is just ridiculous. According to transfermarkt.co.uk, his transfer value is set around 13.2 million pounds. 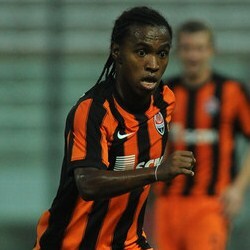 He's a talented and skillful player, he could be a signing for the Gunners. Another starlet linked to the Gunners and also reported by Give Me Football, as Real Madrid's 18 year old starlet Alvaro Morata is getting interest from both Arsenal and Manchester United. Morata has scored 15 goals in 28 appearances with the Madrid's B-side Castilla and there have been numerous calls by the Spanish press to make him a permanent senior squad member. Mourinho has denied that so far, and now Morata is gaining interest and has been linked with a move to England. Morata, in my opinion from the few matches I've seen from him, is a talented player that should be kept by Real Madrid, who have a history of letting go of young starlets too soon (e.g. Samuel Eto'o and Juan Mata), and I believe that with Arsenal already signing two youngsters already (Toral and Bellerin) and closing on another youngster in the form of Alex Oxlade-Chamberlain, that they should focus more on signing proven players. Nonetheless, he's a talent with a bright future ahead of him. It looks like Japanese rising star, Ryo Miyaichi, who has been a huge success on loan with Feyenoord in the Eredivisie, is unsurprisingly wanted by the club for another season. With their technical director, Martin Van Geel, trying to persuade Wenger to have Miyaichi, play for one more season with Feyenoord. 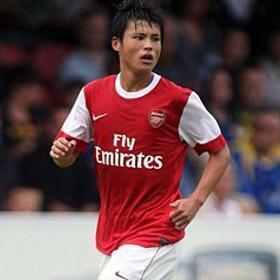 I'm undecided in my opinion on this, as in one hand I'd love to watch Miyaichi finally play in an Arsenal shirt, but I believe that one more season, playing regular football would do him the world of good. It looks like, though, that Wenger thinks that he's ready to play in an Arsenal shirt and is working on a work permit, so hopefully we see this huge talent in an Arsenal shirt next season. Are Arsenal going to reveal a new signing next week? What do you think? Should Arsenal sign Odemwingie? What do you think about the rumors regarding Morata and Willian? 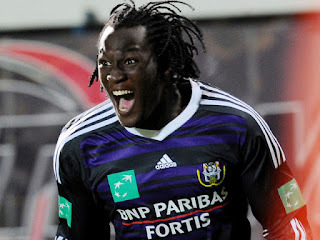 Do you think that Lukaku will sign for Arsenal? Do you believe in the statement made by Marco Silva? If you do, who do you is this mystery signing? Do you want Miyaichi loaned back for one more season with Feyenoord? Please share your thoughts and opinions.